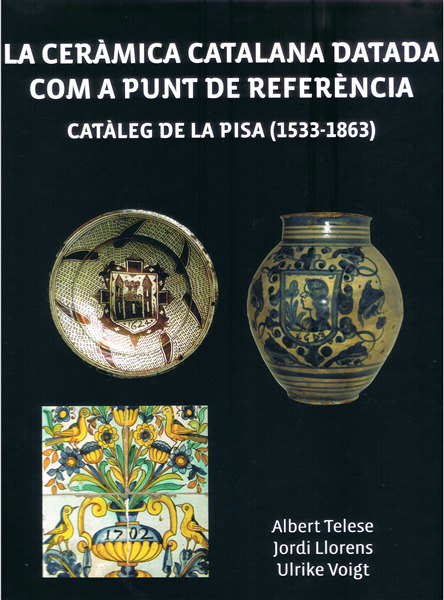 The new work by these prestigious authors represents a major contribution to the knowledge of Catalan ceramics between 1533 and 1863. It is based on a compilation of 112 pieces of different shapes as well as tiles which bear the date of their manufacture. They have been located through extensive search and investigations in museums, private collections and in previous publications. The objects are presented chronologically, each carries a dossier file with details and ample explanations of the item and, very importantly, present similar pieces that are already known but could not be dated exactly up to now. It is a rigorous and practical book that helps us to better pinpoint the time span of the "series" of ceramics and the varying decorative styles which are the main instruments for identification.